From Fourth International, Vol. 12 No. 6, November–December 1951, pp. 168–176. In our examination before the 9th Plenum of the International Executive Committee of the character of the document which would open the discussion in the International for the Third World Congress, it appeared to us that instead of the traditional political resolution dealing with the international situation and tasks, it would be far more appropriate this time to begin with a more general; more fundamental document tracing the broad lines of objective developments and of the orientation of our movement. Indeed it appeared to us that in view of the new period which had followed the wind-up of the last war, and more particularly in view of recent developments, of the active preparation of a new world conflict, it would be necessary to arm our movement with an understanding of this period as a whole, of its meaning, its dynamism, its perspectives. It was necessary, we thought, to reaffirm and again trace more precisely the general position of our movement toward the USSR, the Communist parties and the revolutionary movements of the masses which are led by these parties. All this was needed in order to follow closely the development of the situation without being disoriented by its contradictory features, without weakening under the pressure of imperialism, without yielding to discouragement because of the limited scope of our achievements thus far. That is the way to tie our organizations still closer to the real movement of the masses wherever it arises and whatever forms it may take, with the certainty that this is the best means of consolidating our gains, of deepening the maturity and the roots of our movement in the working class, and of preparing the definitive success of our ideas in the decisive battles of tomorrow. The period which followed in the wake of the last war has proved to be unique in the whole history of capitalism, causing fundamental changes in the structure of this system, replete with new developments, marked by sharper turns than ever before. In a word, it is the most violent, the most tempestuous expression of all the contradictions and all the characteristics of the imperialist epoch, that of decaying capitalism, that of wars and revolutions, as Lenin and Trotsky analyzed it. This period of the decomposition of capitalism coincides with the existence of the USSR and of Stalinism; and the fact that the historic development of the proletarian revolution is apparently following a general line of expansion that proceeds from the backward colonial and semi-colonial countries, the weakest links in the imperialist chain, toward the advanced countries and the United States, the last citadel of imperialism. These factors make the processes of revolution more complicated, more contradictory, more unexpected. A series of questions posed in Marxist theory in necessarily general terms are being illuminated in a new light, clarified and refined, thanks to the concrete experience of the real processes of the proletarian revolution in our epoch. Our movement, better than any other tendency in the proletarian camp, has been able to understand this situation and its problems and to integrate this comprehension in its theory as a whole, giving new resilience to its thoughts and its schemas and grasping the reality more closely and more profoundly. In our opinion all this constitutes important, immense progress. Far from frightening us, this necessary rearming should on the contrary persuade us that it is the only road for a genuine revolutionary Marxist movement which wants to survive and to triumph. The epoch as a whole, and this period particularly, demand a vanguard which can fully rise to the occasion. I say quite bluntly a vanguard more capable than the best of the past, that of the Bolshevik Party when it was led by Lenin and Trotsky. Contrary to the renegades of all stripes, to the centrist windbags and other “critics” of Bolshevism, we believe, more firmly than ever before, that this period, far from depreciating the value of the Bolshevik Party as Lenin conceived it – as that of preparing, leading and consolidating the revolution – has rather strengthened this concept to the uttermost. For the class struggle is not entering into quiescence. On the contrary. It will attain its climax in the war now being prepared and in the extended period of life-and-death struggle between the forces of the revolution and the counter-revolution from which will emerge the world victory of socialism. In the times ahead we will require a more tempered world party; clearer and broader in its outlook, firmer and more homogeneous than ever before. And if our personal, individual capacities naturally still remain quite unequal to this task, it is all the more necessary to work collectively toward this aim and to come as close to it as possible. The first condition of success for us is a clear, correct, profound understanding of the character of the period, of its perspectives and of what our fundamental orientation should be, as free as possible from all episodic and secondary considerations. It is in this spirit that we have tried to work in the International, particularly since the Second World Congress, and it is in this spirit that we have elaborated and understood the Theses of the 9th Plenum. Insofar as the Political Resolution which we have recently presented to the sections is concerned, it is fitted into the framework of the Theses of the 9th Plenum. Its special purpose is to analyze more closely the current international situation and to define the tasks which flow from it in the various regions and countries of the world. It appears to me to be necessary, after the discussion which has taken place in some sections, particularly on the 9th Plenum Theses, to return in this report to the following points and aspects which are contained either in this text or in the Political Resolution: the structure and general orientation of the Theses: the war question; the question of Stalinism; the question of our tactics; our tasks in several areas and countries which should specially concern us in the immediate period. For the purpose of determining our own orientation and our tactics, so as to be able to influence the orientation of the masses toward the revolution and socialism, we have to proceed from a correct appreciation of the fundamental tendencies of evolution of capitalism and Stalinism. For this reason there is a unity in the Theses between the following three distinct sections: the evolution of capitalism toward a new war, with its precise characteristics and consequences; a general revaluation of Stalinism in all its aspects (USSR, “People’s Democracies,” Communist parties, and their relationship with the revolutionary movement of the masses); orientation and tactics of our own movement. With the Korean war capitalism has entered upon a more precise and more accelerated military and political preparation of a new world war: an armaments economy. Subordination of plans and ideas to military needs. New bases and alliances. This war is directed by imperialism against the USSR, the “People’s Democracies,” China, the colonial revolutions, the international revolutionary movement. It is being prepared in a relationship of forces unfavorable to imperialism, which in all probability will remain unfavorable for some years to come, imperialism having proved itself incapable of realizing the “optima” conditions for the unleashing of the war and its victorious conclusion. In this case, a war unleashed by imperialism will rapidly become transformed, at least in Europe and Asia, into a civil war with revolutionary implications in the rest of the world, including the USA. In relation to our discussions at the 8th Plenum of the IEC on the question of the evolution of the international situation and the perspectives of war, the 9th Plenum made important alterations and refinements which had been made comprehensible and necessary due to objective developments. It seems to me that our new attitude toward these questions is above all the result of a different appreciation of the real relationship of forces on the world arena and of the importance of the revolutionary changes which we have witnessed since the end of the Second World War. Especially the changes which occurred and are continuing to occur in the colonial and semi-colonial countries, whose emancipation destroys the equilibrium of imperialism as never before. Up to the 9th Plenum we had, grosso modo, envisaged the possibility of a new war along the schema of the wars of 1914-18 and even more of 1939-44. These were wars which broke out and became possible when imperialism succeeded, through a series of decisive struggles, in smashing the resistance of the masses, in demoralizing them, and in installing authoritarian regimes. The Theses of the 9th Plenum take as their point of departure a more correct comprehension of the revolutionary convulsions which have transpired since the last war and of the revolutionary dynamism of the present period. The Theses affirm above all that the variant of such an evolution of the relationship of forces in favor of imperialism is quite improbable in the coming years. The Theses maintain that as a consequence the eventuality of a war in this period will in a certain sense be the only possible means for imperialism to change this unfavorable relationship of forces and to prevent it from still further deteriorating to its disadvantage. When we speak of relationship of forces we do not have in mind the material, technical and military forces which are at the disposal of the two coalitions of states – the imperialist states and the states grouped around the USSR – but the global social relationship of forces as it is now developing in the world, counterposing the forces of imperialism to those of the revolution. This is the relationship which is involved. And, let us say in passing, this should set at rest the absurd objections and criticisms which have marked the discussion on the Theses in the French organization. A second important conclusion flows from this new understanding of the situation in which the perspective of the war must be placed. If in all probability the relationship of forces remains unfavorable to imperialism for the immediate future, the eventuality of war cannot be excluded but on the contrary becomes more certain. This is due principally to the fact that the fundamental base, and by far the most important base of imperialism, in a way lies outside the regions of the world engulfed or threatened by the revolution. It is not in Asia or in Europe, but in the United States. If the relationship between the classes in the United States were as unstable as it is in the capitalist countries of Europe, and if the strength of capitalism in the United States were comparable to that of capitalism in the other countries, that is, if it were as shrunken and as shaky, it would be correct to reason along the schema of the past and to conclude that a strengthening of the revolutionary struggle would be tantamount to paralyzing the trend of imperialism to war and to imperialism being disarmed by the revolution before it could unleash the war. But the Theses stress the unequal development of the revolutionary process: the fact that new possible victories in Asia and Europe, far from diminishing the threat of war, can precipitate it, since American imperialism has now decided to stop this process and enjoys a far more stable relationship of forces within the United States than that which exists in Europe. This is a reflection of America’s own might which also is far superior to that of the different capitalist countries of Europe. The third important conclusion which flows from this comprehension is that a war unleashed by imperialism under such conditions against the USSR, the “People’s Democracies” and China, etc., under such a relationship of forces will from the beginning necessarily assume the character of a civil war at least in Europe and in Asia. This civil war character is the consequence of the nature of the war, a war by imperialism against workers’ states and against the revolution in all its forms, and of the social relationship of forces unfavorable to imperialism (despite the importance of its material, technical and military forces which continue to grow apace). Merely the nature of the war would not suffice to lead us to the perspective of civil war. For, suppose imperialism unleashed its reactionary, counter-revolutionary war in a favorable relationship of forces, after crushing the resistance of the masses. Then this perspective would not at all exist from the beginning, or it would be very much weakened. To speak of civil war is to speak of a specific form the class struggle will assume, and not of just any form, and this form is possible only in a given relationship of forces. The considerations contained in the second part of the Theses on the USSR, the “People’s Democracies” and China, on the Communist parties, on the reciprocal relationships between the Soviet bureaucracy, the CPs, the revolutionary mass movement, find their justification within the framework of this analysis of the world situation and its perspectives. The war being prepared this time by a united imperialism under the leadership of the USA is the counter-revolutionary war which aims not at the punishment of the Soviet bureaucracy and the crimes of Stalin, but at the destruction of the workers’ states, the reconquest of China, the crushing of all the colonial revolutions and of the world revolutionary movement. It is necessary to begin with this and to basically understand the character of the struggle which is being joined in all its scope and all its consequences. This time what is involved is the final struggle which brings an epoch to a close. This struggle must be viewed as extending over an entire period with successive phases and stages. We have to aim at – count upon – what must be and will be the overall outcome which we all desire: the world victory of socialism on the ruins of capitalism and Stalinism. All the foregoing reasons must make our movement aware that we shall face terrific class pressures, never equaled in the past, in the midst of this apocalyptic struggle with its extraordinary difficulties and dangers. It will demand of us a clear perception of the meaning of the struggle, an unshakable class attitude, and acute understanding of our responsibilities – a complete conviction, born of understanding, in the revolutionary outcome of this period of struggle. In face of the alignment of socially adverse forces which are now beginning to take their battle positions, it is necessary for us to reaffirm, to concretize our programmatic attitude toward the USSR, the “People’s Democracies,” China, the Soviet bureaucracy, the Communist parties and the revolutionary mass movements which they influence. It is necessary to say clearly, plainly, without ambiguity where we stand, on what side of the class lines, on what side of the barricade we erect our headquarters and plant our banner and how we intend to carry on this struggle within this camp. And what do we say in this part of the Theses? On the USSR, we reaffirm its character as a degenerated workers’ state; with basic arguments we refute the characterization of “state capitalism” and we refine our programmatic attitude on the question of defense. We take a position for the defense of the “People’s Democracies” and of China against the war of imperialism as we do for the USSR. On the Soviet bureaucracy, we reaffirm its character as a bureaucratic caste which has usurped the power of the proletariat; its dual role, its worldwide counter-revolutionary activity. On the Communist parties, we make clear wherein they are different from the reformist parties which are tied to the bourgeoisie; their contradictory nature; their relationship with revolutionary movements of the masses. Finally, so far as these movements are concerned we make clear our attitude of unconditional support, irrespective of whether their eventual leadership at a given stage is Stalinist or Stalinist-influenced. On the character of the USSR and of the Soviet bureaucracy, we do not add anything new to what has already been said in the past. We do not alter any of our fundamental programmatic definitions of the past. But we stress the defense of the USSR as well as of the “People’s Democracies” and China against the war of imperialism. This defense is to be understood as in the past not as a slogan as such but as a strategic line of our International whose practical application remains subordinate as in the past to the general interests of the world socialist revolution. Far from the importance of the defense of the USSR against imperialism having diminished in any way whatever, it remains in our opinion more vital than ever, especially when a united imperialism approaches the moment of the final reckoning of accounts. Faithful to the tradition of our movement on this question, to what was the guiding thought of Leon Trotsky, we declare openly, plainly and without hesitation that we will never and under no conditions confide the overthrow of the bonapartist Soviet bureaucracy to imperialism: that we will defend and that the revolutionary proletariat has the duty of defending the immense conquests which are still inherent in the planned and statified economy of the USSR and of the “People’s Democracies,” in the conquests won in China. We underscore the immense importance for the final victory over imperialism now represented by the existence of 800 million inhabitants on our planet who have broken away from imperialist control. Only incurable sectarians, in reality only amateurs and spectators of the class struggle – outside of those in the workers’ camp who have already succumbed to the pressure of imperialism and often even agree to serve it (always in the name of “democracy” against “totalitarianism”) – can consider this task of the defense of the USSR as unimportant or even as troublesome. Such people dream of ideal conditions for the class struggle; they would like history to proceed on a straight, smooth road without obstacles, without contradictions, before they will deign to follow it. We reject such reasoning. We resolutely separate ourselves from such companions. We declare that our movement has nothing in common with such conceptions. Because we want to have our two feet firmly planted on the ground. Because our point of departure is the concrete conditions of the class struggle of our epoch and not ideal conditions. Because we know that only those who are capable of defending and preserving old conquests can gain new victories. Our attachment to the USSR permits us to be in the same camp as the world revolutionary forces opposed to imperialism, permits us to find the road to the teeming revolutionary masses in Asia and in Europe in particular; permits us to be with them today in their struggle against the preparations of imperialism for war, tomorrow in their inevitable assaults against its direct power. So far as the anti-bureaucratic meaning of this defense is concerned, this is clearly explained in the Theses as well as in the Political Resolution and in the amendment we propose to include in the latter with the aim of removing all ambiguity on this question. We want to remove all grounds of criticism from those who are afraid that we are light-mindedly abandoning even a particle of the attitude which Trotskyism has had in the past toward the Soviet bureaucracy. Our movement has always understood the victory over Soviet bureaucracy as the result of the extension of the revolutionary struggles in the world, as the result of important victories over imperialism, as a result of the extension of the world socialist revolution. To assure the victory over imperialism means inevitably to assure at the same time the victory over the Soviet bureaucracy. For the bureaucracy has no historic future and it maintains itself only on the basis of an equilibrium which has prevailed until recently between the forces of imperialism and those of the revolution, an equilibrium which is now definitively broken. Our movement was the first to advance an idea, which is repeated today even by the most perspicacious bourgeois politicians and journalists. Namely, that what was labeled Stalinist expansionism at the end of the last war has at the same time been the beginning of the end for Stalinism; that the equilibrium has been broken for the bonapartist Soviet bureaucracy as well; that the European buffer states, Yugoslavia, China, the colonial revolutions are as much, within varying time intervals, disintegrating elements of the power of the Soviet bureaucracy as the irresistible march to the new War and to new gigantic revolutionary explosions. These events cause this arch-conservative bureaucracy no end of embarrassment and anguish. For, like imperialism, the bureaucracy is incapable very much longer of controlling, of mastering the immense forces which are breaking up capitalism and its own expansion. This profound comprehension of the period and of the real nature of Stalinism, i.e., of the policy of the bureaucracy, we have tried to convey to the whole International. This understanding feeds our revolutionary optimism, frees us from all Stalinophobe complexes, boldly propels us to the unconditional support of every revolutionary movement struggling against imperialism, regardless of its Stalinist or Stalinist-influenced leadership at a given stage. It is this comprehension also which has aided our movement in being the first of all the tendencies in the international workers’ movement and, far in advance of all currents of bourgeois political thought, to understand the significance of the Yugoslav affair and of China. Bourgeois journalists are only now discovering the coordination imposed on Stalin by Mao, the disintegrating character of this combination for the future of Stalinism, the dynamics of the Chinese revolution as a mine-sapper of Stalinism. Between the Second and the Third World Congresses, our movement has achieved a better grasp of the relationships which now exist between the Soviet bureaucracy, the Communist parties, the revolutionary mass movements. These relationships are not static. They evolve with the situation and with the social forces engaged in struggle. The relationship between the Soviet bureaucracy and the Communist parties is not that of an identity of nature and interests. By taking as a point of departure the analysis of their social base and the exceptional conditions created during and after the last war which have given rise to extremely powerful revolutionary movements in several countries tied to the Communist parties, our movement has been able to explain the Yugoslav case, the Chinese case, and to raise this experience to the level of a theoretical generalization regarding the relationships between the Soviet bureaucracy, the CPs, the revolutionary mass movements. We have made clear that the CPs are not exactly reformist parties and that under certain exceptional conditions they possess the possibility of projecting a revolutionary orientation, i.e., of seeing themselves obliged to undertake a struggle for power. This formula theorizes a concrete experience revealed especially in the circumstances created during and after the last war, and takes into consideration both the scope of its possible application and its limitations. How should it be understood? Can the Communist parties transform themselves into revolutionary parties? The experience with the CPs does not permit such rash and dangerous assumptions. These parties can in exceptional circumstances (advanced decay of the bourgeois regime, a very powerful revolutionary movement) project a revolutionary orientation, but the question of their transformation into revolutionary parties, especially into Bolshevik parties, has not been answered in the affirmative, not even in the most favorable cases known thus far (Yugoslavia, China). On the contrary. These instances, Yugoslavia in particular, demonstrate that while these parties can, as a result of exceptional conditions (and in the absence of any other revolutionary organization), be obliged to open up a struggle for power and even to attain this end despite their opportunism; when conditions change and become difficult they prove incapable of pursuing a consistent, revolutionary policy to consolidate and extend this power. They remain centrist parties subject to new retrogressions. However, the fact that under exceptional conditions these parties can project a revolutionary orientation retains all its importance and should act as a guide; in our line toward them. A good grasp of this question of the CPs and their relationship with the revolutionary mass movement is a highly important matter for us, and not merely for an understanding of the Yugoslav and Chinese cases. It will permit us to follow the evolution of these parties better in the future, not to be taken by surprise by analogous developments, to adopt a correct attitude toward these parties, their members and the masses they influence. I will return to this latter aspect in the section of my report regarding our tactics, which I am coming to now. All our analyses should be directed toward integrating ourselves better and more deeply into the real movement of the masses. The most striking feature of our movement today, which differentiates it fundamentally from what it was before and even during the war, is the profound understanding by the great majority of our International of this necessity, and the practical, concrete application of this understanding. For the first time in the history of our movement, particularly since the Second World Congress, the maturity of our cadres is evidenced by the stubborn, systematic exploration of the road which the real movement of the masses has taken in each country and the forms and organisations which express it the best, and by our concrete, practical steps on this road. This was not, is not as yet and will not be for some time to come an easy task, both insofar as its comprehension and its realization are concerned. To understand the real movement of the masses means first of all to be able to correctly analyze the political situation in each country, its peculiarities, its dynamism, and to define the most appropriate tactics for reaching the masses. What we have understood for the first time in the history of our movement and of the workers’ movement in general – for the first time in as thoroughgoing a manner and on so large a scale – is that we must be capable of finding our place in the mass movement as it is, wherever it expresses itself, and to aid it to rise through its own experience to higher levels. Such an approach makes it possible to hammer out real national revolutionary leaderships, to overcome sectarianism, dogmatism, sterile byzantinism, activism, impressionism, impatience and all the defects inherited from the isolation and petty-bourgeois composition which was an inevitable first stage for many of our leading elements and members. With such an attitude it is possible to create leaderships and proletarian organizations and to shape an ever growing number of revolutionary working-class leaders who can really take hold of the leadership of the movement in their country. Naturally this task cannot be resolved by formulas and documents. It is a task which flows from a certain degree of maturity acquired in practical experience, often through intense internal struggles such as have marked the history of almost all our national organizations. What is involved is an organic process and not the mechanical application of a catechism: how to shape the leadership and the proletarian party, how to integrate them into the real movement of the working class. But let us look back at the immense distance our movement has traveled toward maturity in the last years. There is not now one single Trotskyist organization, which either as a whole or in part does not seriously, profoundly, concretely understand the necessity of subordinating all organizational considerations, of formal independence or otherwise, to real integration into the mass movement wherever it best expresses itself in each country, or to integration in an important current of this movement which can be influenced. There is not one single Trotskyist organization which has not found or is not seeking to find a real milieu for work. I will go even further. What distinguishes us still more from the past, what makes for the quality of our movement today and constitutes the surest gauge of our future victories, is our growing capacity to understand, to appreciate the mass movement as it exists – often confused, often under treacherous, opportunist, centrist, bureaucratic and even bourgeois and petty-bourgeois leaderships – and our endeavors to find our place in this movement with the aim of raising it from its present to higher levels. This is the case, for example, in Latin America where the anti-imperialist and anti-capitalist mass movement often assumes confused forms, under a petty-bourgeois leadership as with the APRA in Peru, with the MNR in Bolivia; or even under a bourgeois leadership as with Vargas in Brazil and Peron in Argentina. To reject these movements out of hand, to label them reactionary, fascist or of no concern to us would be proof of the old type of “Trotskyist” immaturity and of a dogmatic, abstract, intellectualistic judgment of the mass movement. Even in this most backward area, from the viewpoint of the comprehension of our movement up to the present, we are about to overcome this stage, and I am certain that our Congress will know how to view and appreciate this progress in the course of its labors. Elsewhere, as in South Africa, Fgypt, the North African colonies, in the Near East, we understand that the eventual formation of a revolutionary party new takes the road of unconditional support of the national, anti-imperialist mass movement and of integration into this movement. In various countries of Europe, in Canada, in Australia, in New Zealand, the principal political movement of the masses is in the reformist parties of those countries. We no longer have any hesitations in preparing our entry into these parties so as to develop a left wing, at a pace and in forms stemming from the situation and the peculiarities of these parties. In this domain, the experience of our British comrades remains the most encouraging example of the degree of understanding that we have been able to attain in this difficult work, and of the gratifying results which this work can produce once this comprehension is acquired. Finally, there remains that large category of countries in which the mass movement still takes the channel of Stalinist-led or Stalinist-influenced organizations. What is to be done in this situation? So far as concerns that category of countries where there now exists a powerful revolutionary mass movement led by the CPs and a revolutionary situation, as in several countries of the Far East, namely, China, Vietnam, Korea, Burma, the Philippines, it seems to me that there is a more or less general agreement in the International on the tactics we have laid down for these countries: activity directed toward these parties, organizations and the masses they influence, including work within these parties. Such an organizational tactic is not possible without an attitude of support of the anti-imperialist and anti-capitalist struggle which these parties have been obliged to undertake and without active participation in the front ranks of this struggle. Concerning our work in countries like France and Italy, where the majority of the working class and of the peasant poor follows the CP, we have outlined an activity which is essentially directed toward the members of these parties and the masses they influence. And this obliges me, in view of the discussion and the disagreements which have broken out on this question especially in the French organization, to deal with the more general subject of our present attitude toward the workers and the masses still under the influence of Stalinism. 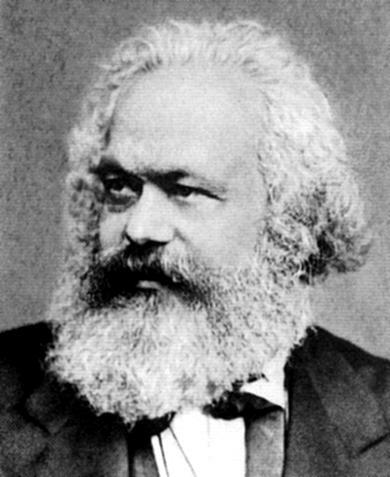 These workers, these masses everywhere, even in countries where the CP represents a minority, and even an infinite minority, have a special interest for us that it would be criminal to neglect for the two following considerations: Because of the quality, the revolutionary inclinations of these masses, who as a general rule are composed of the best, the most active, the most revolutionary elements in each country. Because, on the other hand, of our perspectives on the evolution of the situation toward war which will accentuate the leftward development of these masses and will inevitably impel them into revolutionary struggles, including struggles for power, and in any case into a revolutionary attitude in the event of war. Above all it is alongside these masses that we will have to carry on the struggle now against the preparation of the imperialist war, and it is on their side that we will have to struggle in case of war more directly against the power of imperialism and capitalism. From this estimation and from this perspective there flows a double necessity for us to find the means of being as close as possible to these masses, to follow their movements, to benefit from their dynamism and their action which necessarily becomes more and more revolutionary; to win them to our ideas and, in the course of the struggle, to set them against the Soviet bureaucracy. By taking the present preoccupations and aims of these masses as our point of departure, preoccupations and aims which more and more are going to be clarified in a revolutionary direction and in a will to struggle for power, we will make contact with them, we will have the possibility of speaking to them, we will obtain increasing opportunities to be heard by them, we will introduce our line of fundamental differentiation with the line of the Kremlin and of their own bureaucratic leadership so far as the methods and the tactics of satisfying their demands and attaining their aims are concerned. These masses are the most sensitive to the economic and political effects of the imperialists’ war preparations; they want to struggle against these conditions and against the war; they want to defend the USSR, the “People’s Democracies,” China, the colonial revolutions and all the present conquests of the revolutionary workers’ movement and they will take a revolutionary position in the capitalist countries, in the event of war. When we address ourselves to them, we must begin with the preoccupations and aims we have in common with them, and seek to find the means of establishing and extending a common front in practice around these objectives. How we write in our press, how we address ourselves to the militants and the masses influenced by Stalinism, how we present and explain to them our fundamental differences with the Kremlin and their leadership must be studied and adapted to the need of making them understand that we have the same revolutionary aims and preoccupations as they have, and to the necessity of creating a climate and a basis for a possible dialogue with these masses. On the other hand, our activity should demonstrate to them in practice that we are with them, that we really want to struggle at their side. In this respect, we must admit, there still remains a considerable distance for us to cover; a serious effort still remains to be made to better adapt our tactics toward these masses, to give more attention to the movements and organizations in which they participate. Whether these be “peace” movements or youth organizations (mobilizing a large part of the most dynamic of the working youth) we shall have to overcome the remnants of a doctrinal sectarian attitude in this domain and combat all tendencies that isolate us from these masses. We must approach them, not with hesitant steps and with a thousand precautions, but firmly and confidently For these masses are now being set into motion toward the revolution, toward power, toward the decisive struggle against imperialism and capitalism. They can no longer remain in the middle of the road. They are isolated from all their allies on the right. Whether they want to or not, they will come to recognize that there is no choice for them but to enter into struggle, consistent and resolute struggle for power. Our genera] duty toward these masses, and our objective is to impel them further in this struggle and to expose the hesitations, the opportunism, the inconsistencies and even the treacheries of their leaderships in the course of this struggle. What must be understood, let me stress this again, is that our relations and our tactics toward these masses have been and should be modified in a sense which takes into consideration – so as to derive all possible advantage therefrom – the new conditions which these masses face; the situation evolving toward the war of imperialism against the USSR, etc. ; and the inevitable revolutionary response such an evolution will evoke among these masses. That is why we emphasize this question in the Theses as well as in the Political Resolution. I know that this is a far bigger task in actual practice, as our small organisations in Europe, for example, have still only very limited contacts with these masses. But that does not in any way constitute an argument for minimizing the enormous importance of such an orientation, bearing in mind the perspective, i.e., what we will have to do with these masses not so much in the immediate period but on the morrow. I now come to some particular problems of our movement and to the conclusion of my report. In general, we say in the Theses and in the Political Resolution, our movement will have to struggle from now on against the war of imperialism and attempt wherever possible to itself organize and lead this struggle, to act as the revolutionary leadership of the proletariat in these countries. Nowhere do we say that we must await the war for our opportunities to materialize. Nowhere do we say that there is nothing to do from now up to the coming of the war but wait. On the contrary, we say that this period, in which the relationship of forces remains unfavorable to imperialism, is a period of revolutionary struggles and convulsions, of an international revolutionary upsurge which we should exploit to the utmost right now. The outbreak of the war, we have pointed out in this connection, will not stop this revolutionary process and will not mean a defeat in such circumstances; on the contrary, from a number of points of view, it will push the struggle to its paroxysm. We have thereby wanted to arm our movement with a longer revolutionary perspective which corresponds to the real character of the period. Such a perspective combats the species of defeatism which takes the form of a “now or never” attitude, which breaks down the organic process of the struggle into two distinct phases – one up to the war, the other that of the war – staking everything on the first period while hanging out the crepe for our perspectives in the second. Such an attitude cannot but distort the objectives of our present work, for there can be no fruitful work without a perspective of the period as a whole and without an orientation which flows from this perspective. Having said that, it is necessary to point out more concretely our present tasks in a series of key countries for our movement. In Europe, we will continue to give special attention to our work in England, Prance, Germany and Italy. Concerning England, our organization is now solid, firm and clear from all points of view in its methods of work. We will aid it to the best of our ability especially in the sphere of education and in a constant improvement of the theoretical and political level of the revolutionary Marxist wing which we want to build in the British labor movement. This movement has always inclined toward empiricism and activism; and in this connection we will revive the idea of a theoretical organ with a broader circulation. In France, where our organization in recent years has displayed a very great and in some ways remarkable effort, a difficult task awaits us: that of correcting the line of our organization and integrating it with the perspectives of the International, so that it will be capable of resisting the enormous pressure which is now brought to bear on that country by the national and international class struggle, and of successfully coping with the difficult tests of the future. Our Congress will have to discuss this situation more in detail and to offer its solutions. In Germany, our movement started almost from zero after the war. But it has developed and now includes an important number of militants who occupy solid positions in the revolutionary vanguard of that country. This is the result of activity which has intelligently exploited the peculiarities of the situation in Germany, the crisis of the CP and the formation of a left centrist tendency following the first favorable developments of the Yugoslav affair and its repercussions in German vanguard circles. We did not hesitate to immediately integrate ourselves in this tendency and to play a major role in its evolution. It may be that this experience is now coming to an end and that we will once again have to choose our road. One road, if our means permit and if our base is sufficiently large, is that of continuing an independent existence and polarizing, around us a large number of those revolutionary elements in Germany who still refuse to follow the social democracy or the Stalinists; another is that of integrating ourselves in the SP. We do not yet have a definitive position on this question but it is before us now and will be part of the work of the Congress itself. In any case, as in the past the International will accord within the framework of its European activity special attention to Germany, where our opportunities remain great and where once again an important phase of the evolution of the international situation and the fate of the revolution will be at stake. In Italy, our young organization has achieved remarkable external and internal progress which visiting comrades who attended the recent Congress of the organization had occasion to note with pleasure. We will do our best to aid it in consolidating its gains, in stabilizing its press, in enriching its propaganda means, in perhaps envisaging the reappearance of a theoretical organ. We shall devote special attention to Spain, where our work has been almost completely dislocated, and we will attempt, despite great difficulties in this sphere, to aid the reorganization and the reorientation of a consistent revolutionary Marxist wing in the Spanish workers’ movement. In the Far East, the situation in Ceylon and in India will particularly occupy our attention. A situation is developing in Ceylon which opens up the perspective of an important victory for our movement should certain conditions materialize. Our organization is now negotiating with the CP of that country to conclude a united front for the coming elections, which could lead to the defeat of the bourgeois governmental party and open up the practical possibility of the formation of a government of workers’ parties. We will attempt to exploit this situation with a view to its effect on India and on the entire Far East. Our Ceylonese organization will have to strengthen its structure, raise the theoretical and political level of its members and integrate itself still further in the ideological life of the International. The organization will demonstrate, we hope, that it is conscious of the international importance of such an experience in Ceylon, especially from our point of view, and will spare no effort to succeed. In India, our movement has made an entry into the SP of that country. But it has not been able to exploit to the utmost the possibility of this tactical turn for reasons which stem in the first place from the lack of preparation for the entry and from lack of leadership. Nevertheless, great possibilities still exist which can be turned to our advantage by a reorganization and a re-orientation of our forces with the active aid of the International. India is a country where, despite our belatedness, it is possible to contest Stalinism for the national leadership. This is of immense, importance for our movement and should be thoroughly understood by all the comrades in India, by all the comrades in Ceylon and by the whole international leadership. On the other hand, with the support of our movement in Ceylon and India, it is possible to envisage giving an impetus to the reorganization of our Chinese movement which is still quite alive, as you will note by the report of our Comrade P, who is present here, as well as of our movement in Vietnam, whose flame has never been extinguished. The Congress will be a landmark for Latin America. It will make possible, through the discussion opened during its sessions, the settlement of a series of important questions that have been pending up to now for our movement in this area. It will advance the maturity already attained there by the evolution of a number of our cadres on the spot, and give a powerful impulse to our work in the future. We will accomplish the tasks assigned to this Congress by the situation if we realize the most solid homogeneity and cohesion of our international movement around common fundamental perspectives and around the same fundamental conception of our work among the masses. When we examine the progress already achieved, we do not doubt that this aim will be attained by the Congress, for it has already been prepared in this sense. This Congress will make its decisions in a situation for which our movement has been thoroughly tempered in advance by an experience varied in form for our organizations, cadres and militants, but unified in their comprehension of its content. Some people, disillusioned by our as yet limited progress and impressed by the immense forces now locked in struggle – forces which appear to be regimented in camps under imperialist and Stalinist leadership, both mortally hostile to us – ask themselves whether we have a real chance to break through and where we are going. The reply that we have striven to give, the reply, in my opinion, which this Congress will give, should be clear, simple and firm: We are going toward war and toward revolution on an international scale. The fate of capitalism and Stalinism will be sealed in the course of these events. What we predicted before 1939 for the war which came, the war of 1939–44, will now be realized. We must go forward with patience, firmness, courage, clarity, through the phases and stages of this terrible struggle that has already begun. We must go along with this revolutionary mass movement. As this movement extends and gains victory on an international scale, it will discard all impurities, throw off the old leaderships, their ideas, their schools, and lift itself to a clear consciousness of its mission, of its interests – to revolutionary Marxist consciousness, to Trotskyist consciousness. 1) That our special interest in the workers and masses under Stalinist influence does not in any way signify that we should neglect the workers and the masses who are outside this influence. In a vast category of countries (which have moreover been enumerated in the Theses, in the Resolution, as well as in the Report), our essential activity is not directed toward the Communist parties. 2) That on the question of the defense of the USSR, which is understood as a strategic line and not merely as a slogan, we must naturally keep in mind in its application the particular conditions of each country. An example of this is Germany, where a large body of workers is hostile to the very idea of the defense of the USSR, which they confound with the defense of the Kremlin and of Stalinism. But in no case must we abandon our principled struggle on this question, or yield to pressure, or adapt ourselves to the easiest conditions of work. It is a matter of finding the best tactical means for the presentation of the question of the defense of the USSR by connecting it to the general struggle of the masses. It has to be introduced in a form and at a moment most propitious for raising the level of understanding of the masses on this question. The more the masses react against the preparations for war, the more the imperialists will see themselves obliged to reexamine, readjust and even completely alter some of their military plans, and to definitively plunge into the struggle under the worst conditions. Hence our great interest in the maximum development of the revolutionary struggle of the masses at present. 4) Our comprehension of the inevitability of war, of its transformation into an international civil war, i.e., into revolution, does not mean that we should not take into consideration in our propaganda and agitation, in our press. etc. the aspirations of the masses for peace, their opposition to war. In all our activity toward the broad strata, we should begin with their preoccupations so as to set them against the war preparations and we should emphasize (especially when we are addressing the masses influenced by Stalinism) that the best means of struggling against the war of the imperialists is to fight now for the power of the workers. 5) We conceive of a war unleashed by imperialism against the workers’ states and the colonial revolutions, in a relationship of forces which continues unfavorable to imperialism, as transforming itself from the beginning into an international civil war. But this does not mean that the war will be transformed everywhere, at the same moment or with the same intensity into a civil war. It means that the fundamental, dominant tendency will be that of its transformation into an international civil war. We should put the accent not on the particular, the exceptional or the secondary, but on the general and dominant feature. There is no other way to elaborate a political line.